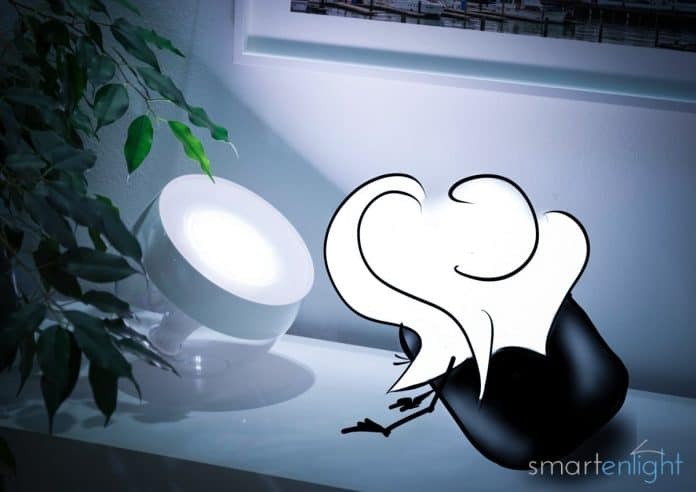 With the Generation 2 bridge, Philips introduced HomeKit support for Philips Hue lights. 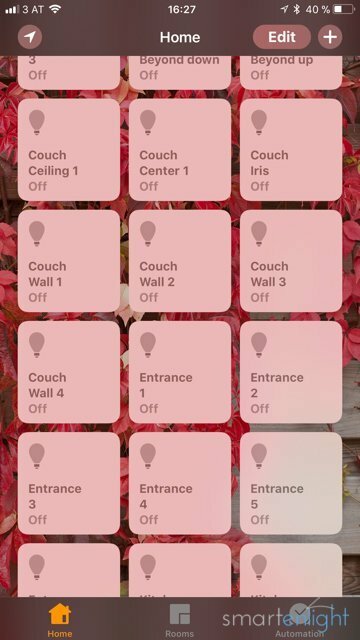 The Philips Hue app manages to keep your lights and rooms configuration in sync between the Philips Hue app and Apples HomeKit, Home app and Siri. If you have not setup your Hue lights yet, check out Philips Hue – Smart Lighting needs a Smart Setup. To configure HomeKit, visit the menu “HomeKit & Siri” in the Philips Hue app settings. 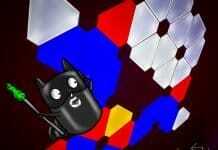 When you do this for the first time, you will receive a message, that the rooms are out of sync. Tap “Update rooms” to copy your rooms to HomeKit. Wait for a couple of minutes, as the HomeKit update requires some time and then verify in the Apple home app, that all your lights and rooms have been copied over. 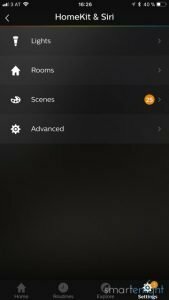 To create scenes for HomeKit, tap the “Scenes” menu under the HomeKit & Siri section. Give every scene a unique name e.g. “office concentrate” – or “concentrate in office”, if you prefer Alexa style – and specify the room(s) the scene applies to. Dependent on how many scenes you would like to control, this process can take a lot of time, you can only speed it up by using Siri dictation for the names (pauses between multiple words help with recognition), but finally, you can control your scenes with Siri. Note, that Apple HomeKit currently supports only up to 100 scenes per home. 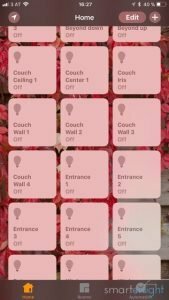 You can group your rooms into a HomeKit “zone”. Use an HomeKit app, e.g. Elgato Eve and add a zone “Downstairs” in the room tab, specifying which rooms to group. This way you will be able to “turn on/off” your downstairs lights via Siri. Apart from being able to control your lights with your voice, you now have a fully configured Apple Home app with all your rooms, lights and scenes from Philips Hue. 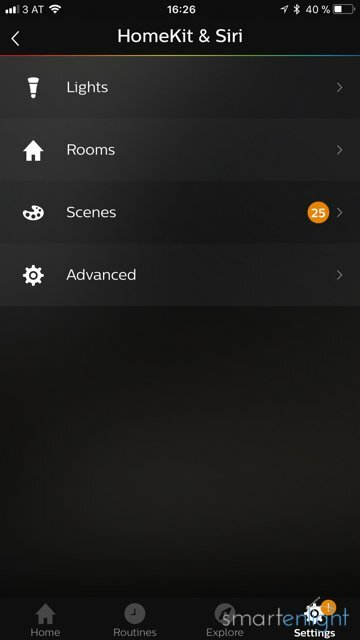 Don’t forget to configure your favorite Scenes and Accessories in the Home app, so you can use them also from the iOS control center as well as from your apple watch. [ all/my, (the) LIGHTNAME / (the) ROOMNAME / (the) LIGHTNAME in/at (the) ROOMNAME] (light(s)) / (lamp(s)) (go) (on/off). Note: COLOR-NAME is not documented, but many color names from here are supported. 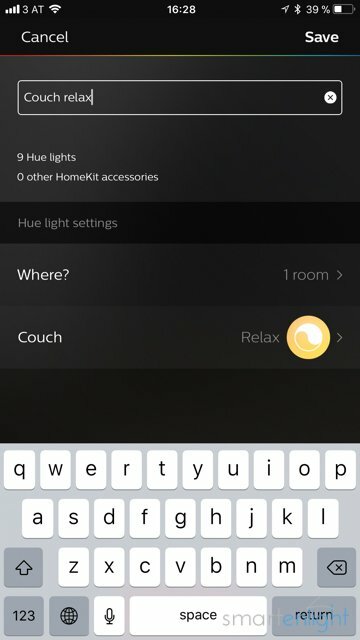 HomeKit and Siri let us import our Philips Hue room settings. We need to recreate the scenes in the Philips Hue app to be available with Siri. 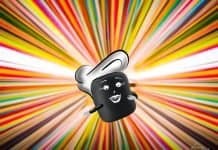 Siri supports an extensive voice command set but lacks color temperature support. Siri is obviously the oldest and wisest of our assistants. She not only handles multiple bridges nicely, HomeKit also supports additional ways of grouping your devices to make controlling them easier. For a comparison to Alexa and Google Assistant, please see: Assistant Showdown with Philips Hue: Who will win? Siri, Alexa or Google Assistant. Have fun and if you have questions or want to share your ideas and experiences with Philips Hue and Siri, please leave a comment below! 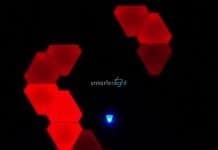 - Hey Siri, ( (die/das/alle) Lampe(n) / Licht(er) / [LAMPENNAME] ) ((in/im/auf/am) [RAUMNAME]) an/ein/aus/ab – schalten/machen/stellen / aktivieren/deaktivieren. – Hey Siri, (setz(e) / stell(e) / aktiviere) [LICHTSZENE].